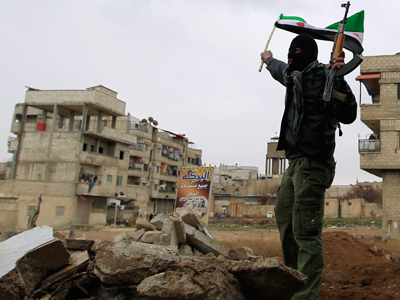 A car bomb has exploded in a residential area of the Syrian city of Aleppo report Syrian state media, describing the blast as a “terrorist attack.” At least two people have died in the blast and 30 more have been wounded. The two people killed by the blast are a policeman and a female civilian, says the SANA news agency. 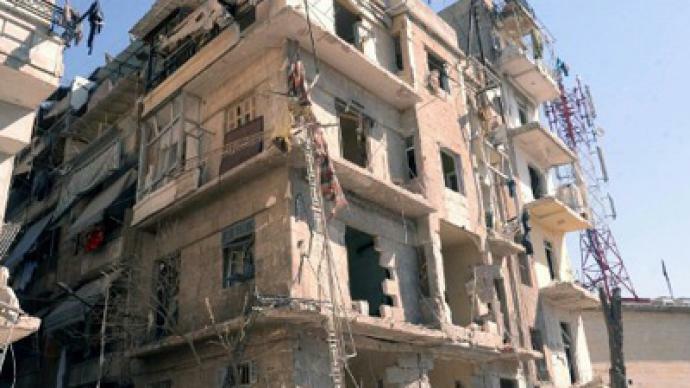 A car packed with some 200 kilograms of explosives was parked between two residential buildings in the al-Suleimaniya district of Aleppo, behind a post office and not far from a church, reports the state Syria TV. But various unofficial sources claim the blast hit an area close to a local security office. Security forces had been tipped off about the attack, says the semi-official news channel al-Ikhbariya. When the bomb went off, residents were being moved out of the dangerous area. Saeed says the attack targeted a quarter which is usually crowded with people on Sunday, being the first day of Syria's workweek. He adds the neighborhood has a large Christian population. At least 15 ambulances and security cars rushed to the area after the explosion, local resident Mohammed Halabi told Reuters. 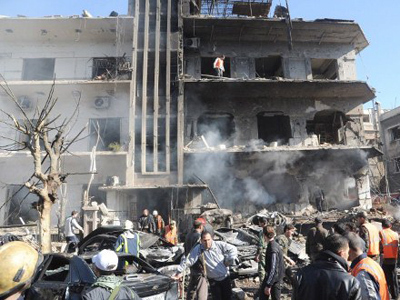 The blast comes just a day after twin car bombs hit Syria's capital Damascus, claiming 27 lives. 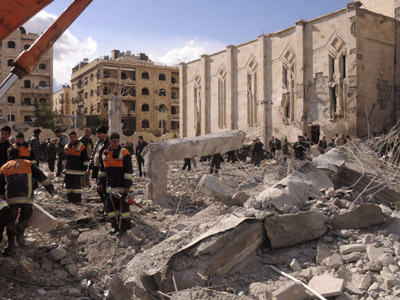 Sunday's attack is the fourth car bomb to rock a major city in Syria, and the second in Aleppo, since a popular uprising against President Bashar al-Assad's regime began a year ago. The opposition and government have traded blame for previous blasts. No one has claimed responsibility for any of the weekend's attacks.